I don’t have a child who refuses to eat vegetables, but my husband is pretty darn close. He will eat corn. He will eat bowls of corn, but if you try to get him to eat other vegetables, he stares at me like I am nuts. Now I, on the other hand, love almost all vegetables, so I’ve been trying to experiment with different preparations to see if I can convince him other vegetables aren’t the enemy. 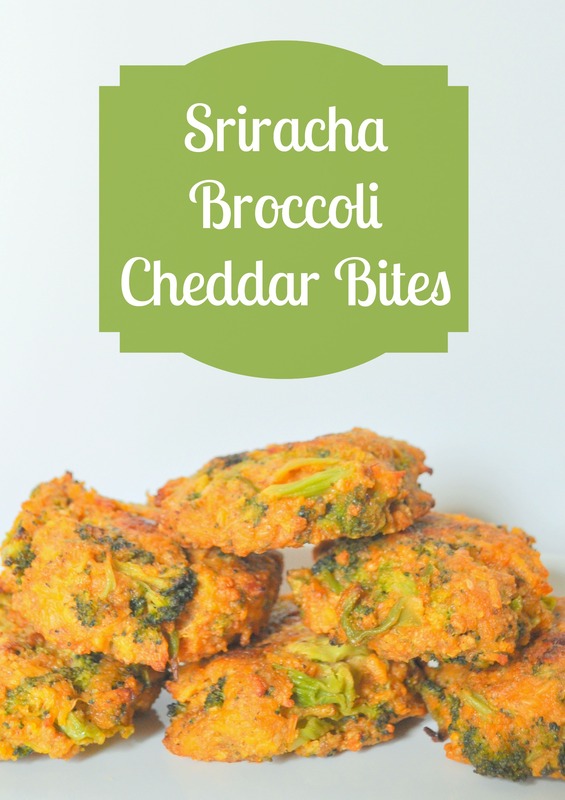 Thus this recipe for Sriracha Broccoli Cheddar Bites was created. I have seen many recipes and posts about Broccoli Bites in the past. They look amazing, and I’m sure I would love them. To convince my husband though, I needed to offer something a little different. I needed to cater to his tastebuds. I decided that since I successfully made Sriracha Chicken Strips, I would use Sriracha sauce again and try to add a little bit of spice to the Broccoli Bites. I’ll be honest with you all – I was nervous. I wasn’t quite sure how the Sriracha sauce would go with the broccoli, but they turned out better than I ever expected. The Sriracha sauce didn’t make them super spicy at all, but they did have a subtle lingering heat. I’m not sure how else to describe them. 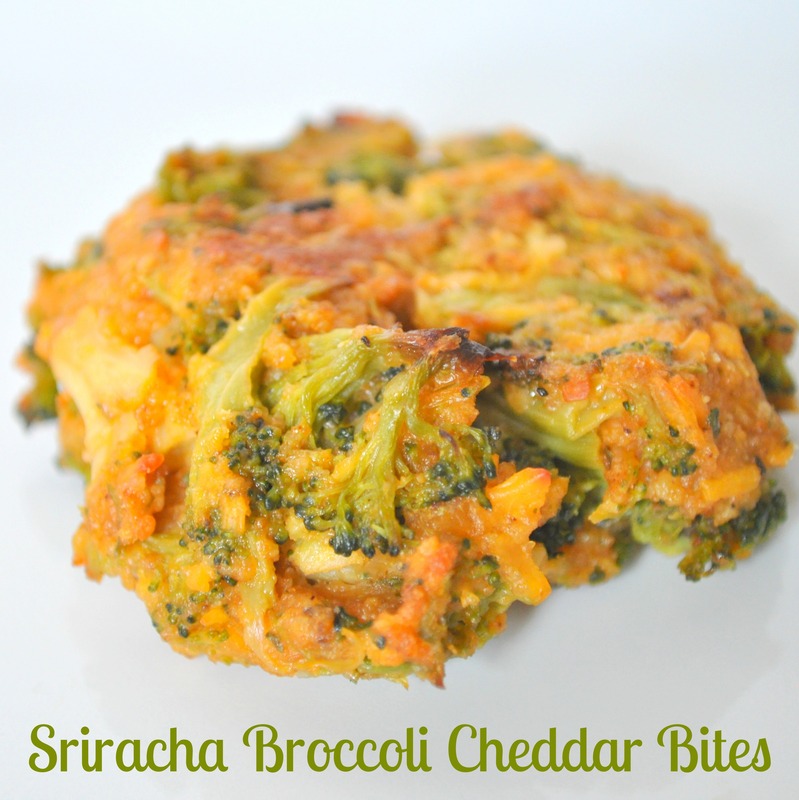 If you like things to have a subtle kick though or just love Sriracha sauce like we do, you should definitely give them a try! Sriracha sauce to taste. I probably added ¼ cup. I added a liberal covering to the top without going overboard. Hopefully this picture gives you a better sense. 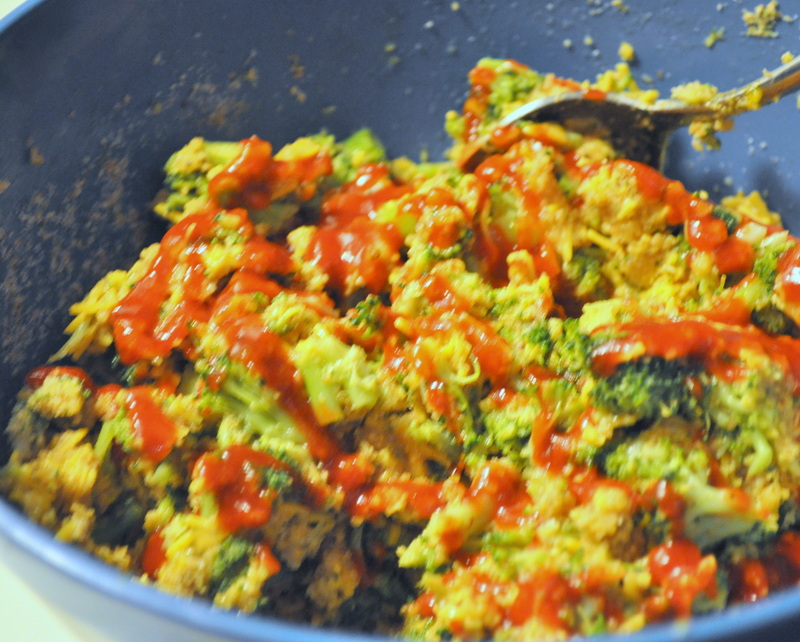 Add all the ingredients to a bowl except for the Sriracha sauce and mix together. Add Sriracha and combine ingredients to sauce is evenly distributed. 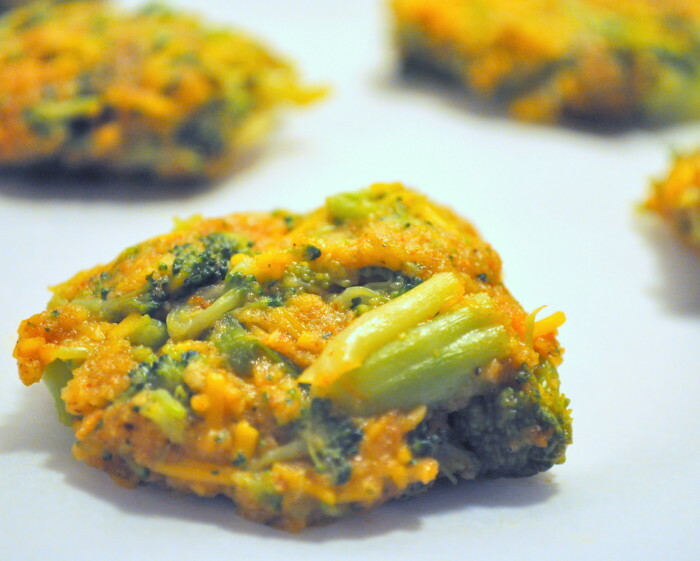 With your hands, form small patties and lay on a parchment lined baking sheet. The patties shouldn't expand so they can sit fairly close together on the pan. Bake at 375F for 25 minutes, flipping the patties halfway through. 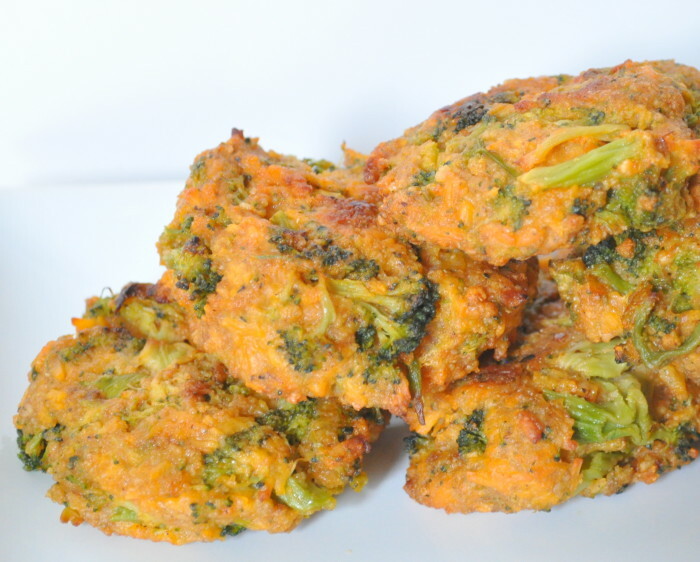 These made really good leftovers – both cold and slightly reheated. I really liked having one for a small afternoon snack, especially because it was a much healthier option than other food in the house. I figured I was getting a little protein, a little dairy, and a little vegetable. Not bad for a snack! What is your favorite vegetable recipe? Feel free to share ideas below! G’day! These looks terrific! Wish I could come through the screen and try one! These Sriracha Broccoli Cheddar bites look amazing! I did not make them before because I did not think hubby would eat them. However, I bet he would like these. I’m going to have to give these a try. Tanks for sharing.